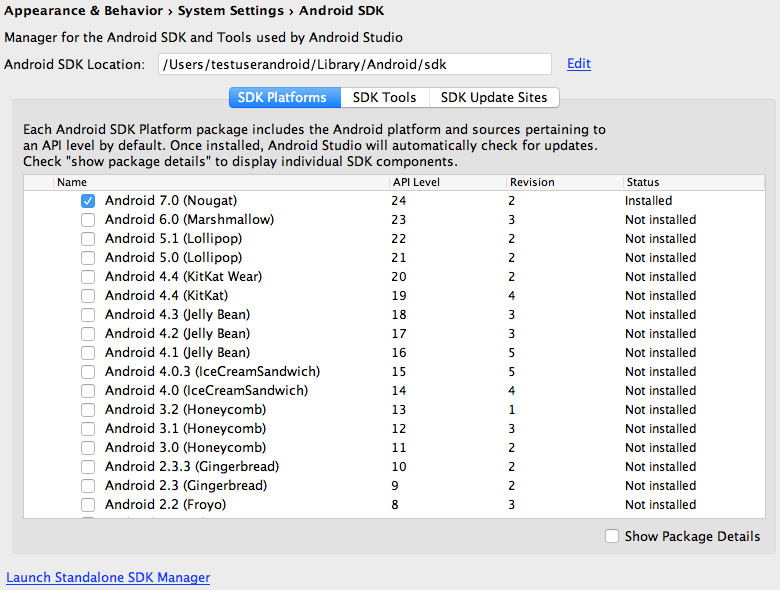 Select "SDK Platforms" from within the SDK Manager and you should see a blue checkmark next to "Android 7.0 (Nougat)". In case it is not, click on the checkbox and then "Apply". I am very glad to thank you for such kind of rich and informative blog.i really enjoyed while reading your ideas.